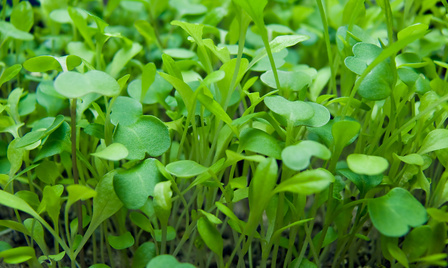 Beautiful, healthy, nutrient rich, and wonderfully flavorful MicroGreens, PetiteGreens, and Edible Flowers can be germinated with Pro-Grow’s Professional Grade Dual Zone 70 flat Germination Chambers/Propagation Chambers. 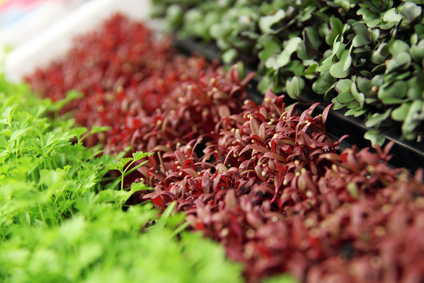 Special secure enclosure design allows for excellent control of humidity and temperature to consistently germinate a high volume of high quality MicroGreens, PetiteGreens, and Edible Flowers. Quicker germination rates and more uniform growth outside the chamber contribute to successful year-round growing (click here for equipment info) in these easy to clean chambers. Choose seed varieties that grow well once outside the chamber in your region’s greenhouse conditions (varying light and temperatures). *Specially selected materials and design features are aimed at minimizing the chance of molds and disease development. Pro-Grow, U.S.A. has over 30 years of experience designing and manufacturing commercial grade growing equipment with a built-to-last reputation growers rely upon. Germinate high volumes of vegetable, herb, and flower seeds in Pro-Grow Germination-Propagation Chambers. Click here for freight quotes in the U.S.A. and Canada and start extending your growing season. Consult your seed supplier for germination specs for each particular type of seed. Pro-Grow’s custom removable stainless steel shelves. Durable Greenhouse & Nursery Equipment is an Authorized Pro-Grow Distributor. (Click here) for PC-70 Germination Chamber easy front/back access, secure enclosure, no need for external water reservoir. Click here for “Potting Media and Plant Propagation – Start Farming- Penn State Extension”. EXCELLENT information including different recipes for seedling mixes for starting transplants. Make your own highly nutritious mixes. *Many growers use stainless snips with 2″ blades or use hand-held rechargeable electric grass shears (small blades) when harvesting their micro greens (keeping blades clean).